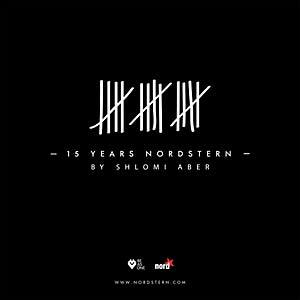 Nordstern, Switzerland's most prestigious underground club and a three-time Swiss Nightlife Award-winner for "Best Club," celebrates its 2015 15th anniversary with an exclusive rough techno mix by club favorite and Be as One owner Shlomi Aber. 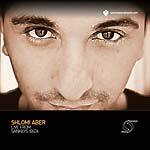 Recognized as a highly influential artist and techno pioneer, Aber draws from jazz, funk, minimal, acid, and, in particular, old school Detroit techno. He has developed a groundswell of genre-defying support, and his worldwide success includes awards and nominations for "best newcomer" (2005), "producer and track of the year" (2007), and Beatport's "Artists of the Year" (2008); a nomination at the Worldwide DJ Awards; and the "Best Techno DJ" award at the Sankeys Awards, 2014. These accolades and more have placed Aber in the first tier of electronic music artists, headlining every prestigious club, festival, and venue worldwide. "I'm very excited and humbled to be part of this project," says Aber. "Not only because yet again I have the opportunity to collect some of my favourite and most played music of recent times into one driving mix, but also because of the big influence the Nordstern club had on my career as a DJ and musician." A small group of artists and DJs founded Nordstern in 2000, and it quickly grew into a home base for a wide variety of musical styles, from old school funk to nu skool funky breaks; from indie rock to indie dance to electronica... even gothic and new wave found their way to Nordstern, as did house and techno. In 2010 Nordstern was completely rebuilt, and its reputation as a highly esteemed platform for high-end nightlife has continued to grow. With DJ sets from internationally recognized artists like Richie Hawtin, Loco Dice, Marco Carola, Luciano, Chris Liebing, Sven Väth, Âme, Dixon, Tale of Us, Seth Troxler, Maceo Plex, Ricardo Villalobos, Jamie Jones, Nina Kraviz, Marcel Dettmann, Adam Beyer, and many more, Nordstern is Switzerland's state of the art when it comes to clubbing on an international level. 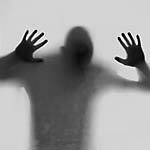 This mix was recorded in real time in front of a live audience with three decks and an RMX-1000 Effects Unit... let it be raw. Tracks by Kepler 61, Chevel, Steve O'Sullivan, Avion remixed by Thomas Hessler, Afrozoid remixed by Myles Sergé, Markus Suckut, Marco Faraone, Wire, Marco Effe, Joachim Spieth, DJ Hyperactive remixed by Truncate, MUUI remixed by Ray Kajioka, Tensal, Setaoc Mass, Entro Senestre, Ilario Alicante, Shlomi Aber, and D-IX.